We work with young men and women who have struggled because of emotionally destructive behaviors brought about by their emotional difficulties, and the poor choices that have led to failure to launch and/or difficulties with drugs and alcohol. Substance use can lead to the development of poor life skills, emotional limitations, and compulsive behavior. But we know there is hope because many of our graduates now live independently with a renewed desire to grow and a committed will to overcome the hindrances that have held them back. Having practiced self-centered and compulsive behaviors for many years as a “way of coping,” new students’ lives are often chaotic and unmanageable. However, with our help, they are able to see new possibilities. This realization causes many to experience a shift in their outlook, and they step up to reclaim those things in their lives that had been lost, while gaining the confidence to reclaim their hopes and dreams for the future. On arrival, we offer our students a new approach to life and they quickly begin changing from the inside out. The Red Mountain Sedona program gives them opportunities for growth through participation in mindfulness practice, physical fitness, 12-step fellowship, and spiritual and emotional insight. This combination of techniques can lead to a powerful, personal transformation. Before they complete their RMS stay, our students will have developed powerful, life-long skills. They become comfortable with living a healthy lifestyle, and proud of their increased confidence and capabilities. Having learned to practice self-control as a norm, our students begin to experience a life of restored promise and potential. Typical RMS graduates embody accountability, dignity, open-mindedness, curiosity, serenity, and strength of character. They are strong in their recovery, respectful of self and others, confident, engaged, and ready to launch. They have established goals and are clear on how to reach them. They are healthy in mind, body and spirit, having healed their interpersonal relationships. They are engaged in positive activities and ready to make the right choices on a daily basis. At Red Mountain Sedona, each client’s program is tailor-made for them based on their individual capacity and resources, whether they come to us for recovery or failure to launch. Together, we evaluate strengths, weaknesses, abilities, and current coping skills. This assessment helps to form the foundation for treatment and is made in concert with the client to best serve their unique situation. A treatment plan designed cooperatively by the client and treatment staff promises a higher probability for success and infuses a stronger desire on the client’s part as they feel they have been heard and their personal situation more fully understood. At RMS, both the substance use and failure to launch programs are holistic and delivered through safe, proven models. Everyone is positively engaged in the process; staff, peers, and family members, creating a deeper emotional commitment for all involved. At RMS, we use the 12 Steps as one of several co-supportive modalities of treatment for those with substance abuse issues. 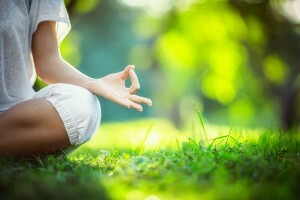 Since not all of our students suffer from substance abuse issues, we individualize our group and individual therapy so that those who connect with and need the 12 Steps have a high level of engagement with them, while those who do not qualify for the issues the 12 Steps address have the opportunity to engage in other healing modalities more suited to them. The 12 Steps are a spiritual remedy to a physical disease. 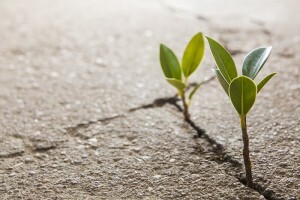 To us, these steps offer a process of acceptance of the problem (overcoming denial), internal awareness (powerlessness: acknowledging that one’s life is out of control), surrender to a higher power (coming to believe that we need help outside of ourselves), and the practice of being “service-centered” (putting others above self). 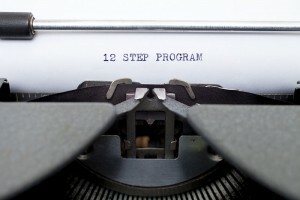 The 12 Steps, when practiced daily, provide a powerful catalyst for transforming the lives of people struggling with addiction, or life in general. The experience of thousands of people over many years shows that the application of this program will lead to a life free of limiting dependencies and full of peace and serenity. If the 12 Steps are not a good fit for a student with substance issues, other modalities are implemented. These include Rational Recovery, SMART Recovery, Refuge Recovery, and our own, highly specialized mindfulness-based approach to treatment. The purpose of yoga is to create strength, awareness, and harmony in body and mind through breathing exercises, meditation, and exercises that stretch and flex various muscle groups. Yoga can increase strength, improve metabolism and cardio circulation and aid in stress management, all while helping to develop coping skills that lead to a more positive outlook on life. Yoga is a powerful supplement to the 12-Step program and other modalities. At Red Mountain Sedona, yoga is not an alternative to the 12 Steps, but a co-equal treatment, and, when combined with the 12 Steps, has proven to be highly effective. Yoga empowers our students to seek and find a peaceful inner state that taps into the inherent healing capabilities of our mind, body, and spirit. Over time, the natural endorphins produced by exercise replace the adrenaline rush produced by substance use. This is why our students exercise every day. We add a sense of fun and adventure to the exercise program so that our students become life-long purveyors of fitness and its benefits. Our goal is that the habits and skills acquired during their stay, will remain after the completion of the RMS program. Our hope is that exercise becomes a part of our students’ daily routines for the rest of their lives. Mindfulness reflects the belief that a positive and productive mental state can be achieved in adverse situations by becoming aware of, and acknowledging, one’s feelings, thoughts, and sensations in the present moment. This “information,” when acknowledged through awareness, can then be used to engage in productive therapeutic interventions leading to more productive coping skills. At Red Mountain Sedona, our students learn through practice to become aware of what is going on in their minds. By doing so, they become more at peace, and their lives become “the cause” of their thoughts, feelings, and bodily sensations and less “the effect” of them. In brief, they are more in charge of their lives and less the victims of their unconscious impulses. Through the simple act of awareness, anyone can become more conscious of the entranced habitual thoughts and patterns that have led to poor outcomes. Through mindfulness, RMS students have an opportunity to disengage their “auto-pilot,” and make purposeful, “mindful” choices that lead to a better life. Most importantly, members of the RMS community learn that they are not victims and that they can interrupt their self-destructive thought patterns, thus short-circuiting negative behavior. Our students learn to pause before acting, which leads to opportunities to practice new choices. This is achieved through seated meditation and moving meditations such as martial arts, yoga, hiking, and other adventures. We support these newly developed patterns through cognitive-behavioral therapy. Our philosophy regarding medication is aligned with our overall belief that each individual is different and has specific needs and preferences. For students experiencing good benefits from medication, our medical staff will continue to supervise and monitor its use. For those wishing to taper off of medication, we will assist in this process if it is medically and clinically advisable. For someone not currently on medication who may benefit from it, we are able to provide a psychiatric evaluation and medication recommendations. Our consulting psychiatrist, Dr. Oliver Cooperman, manages all of the medication assessment and monitoring at RMS. He is a Harvard-educated, board-certified psychiatrist who takes a grounded, holistic approach to prescribing medication. Dr. Cooperman and the RMS clinical staff agree that medication can be a supportive, helpful tool for some students, but is inappropriate for others. We work together to determine the best course of action for each person to support his or her needs and goals. When volunteering for community service, our students report that they feel better about themselves, experience increased optimism, and strengthen their hope for a better future. There is a simple reason why community service has this effect. Whenever we focus on others as opposed to ourselves, it makes us more aware of their emotional and physical state and the stress they are experiencing. It also puts our own challenges in context, and we realize that everyone faces challenges in their lives. When focusing on and responding to the needs of others, we are better able to stop dwelling on our own problems. In the act of “service” we practice empathy for others and experience self-efficacy. This often leads us to a brighter perspective on our present and greater hope for the future. There are several key components to successful recovery from substance use and abuse. At Red Mountain, we utilize all of them, truly healing the mind, body and spirit through a comprehensive approach including nutrition, therapy, yoga, 12-Step study, and meditation. This healing matrix is unparalleled in the young adult launch community.